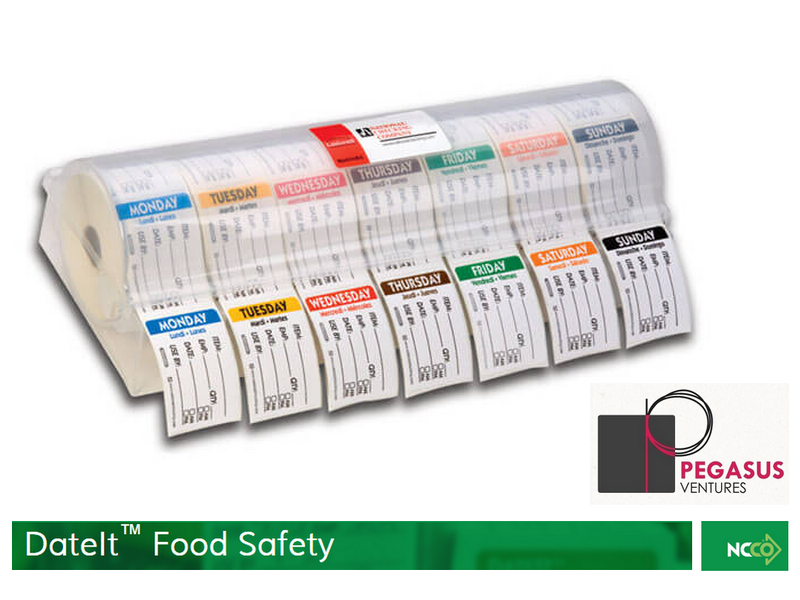 From DateIt™ Food Safety and Pegasus Ventures Michigan 2″ x 3" rectangle removable food rotation labels feature a semi-gloss finish and mild removable adhesive. These popular labels remove completely from containers before washing without leaving any residue. Prompts for recording pertinent info including: item, name, quantity, prep date and use by date keeping important information in plain view. These labels have space to write the name of the food product, the date, the use by date, the name of the employee and the quantity of the product in the container. 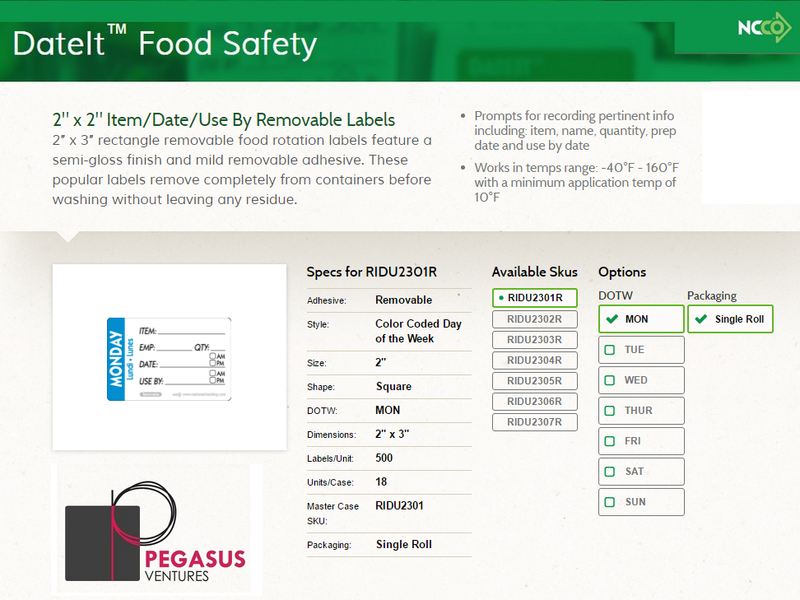 These food rotation labels work best in the temperature range of -40°F to 160°F with a minimum application temperature of 10°F. A minimum investment with great savings, food rotation labels cost the average restaurant less than $100 annually. 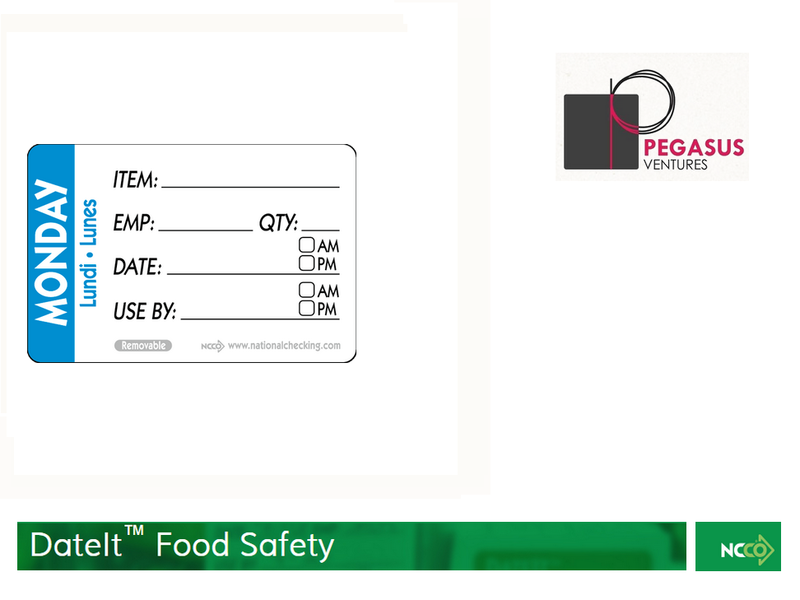 Using the DateIt™ Food Safety from Pegasus Ventures Michigan labeling system helps avoid food waste by carefully monitoring expiration dates while also ensuring your restaurant or commercial kitchen stays compliant with local health department requirements,, as well! 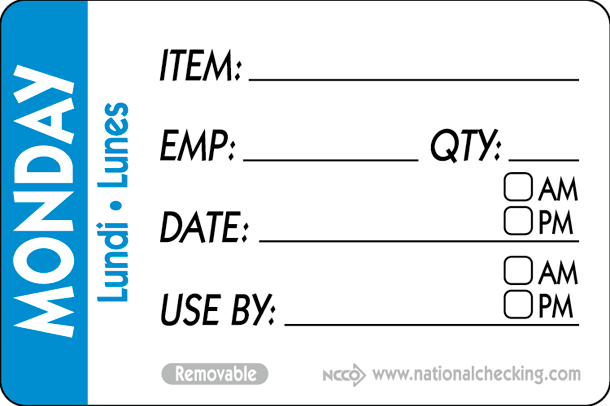 Check the related food rotation labels below to order each day of the week, a dispenser that works well with this product or order these 1" square removable food rotation labels in a kit with one roll of each day of the week already included!